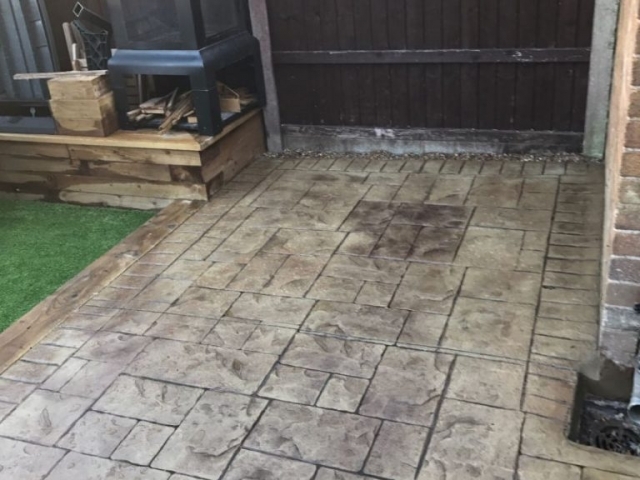 Lasting Impressions was recently asked to resurface the side and back of a house in Wythenshawe, Manchester. 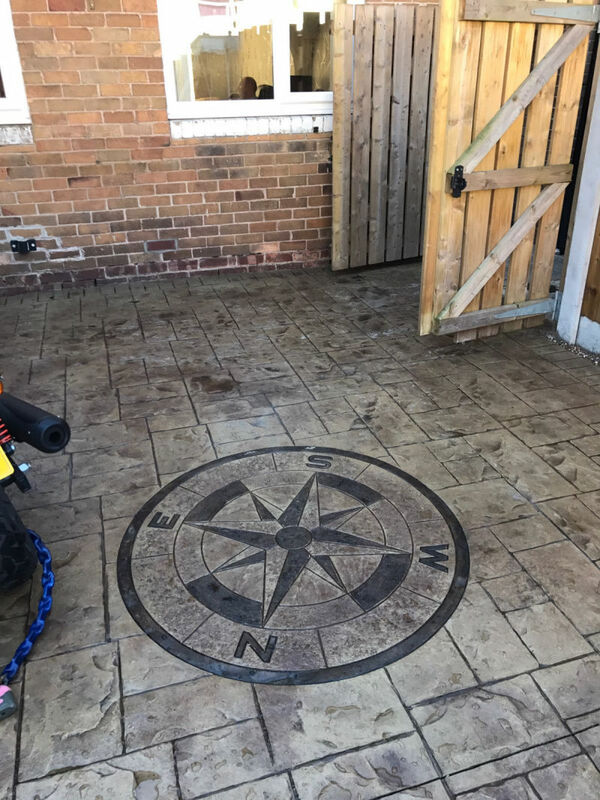 With a wide range of colours and styles, at Lasting Impressions you will always find something to suit your taste and that’s appropriate to the style of your house. 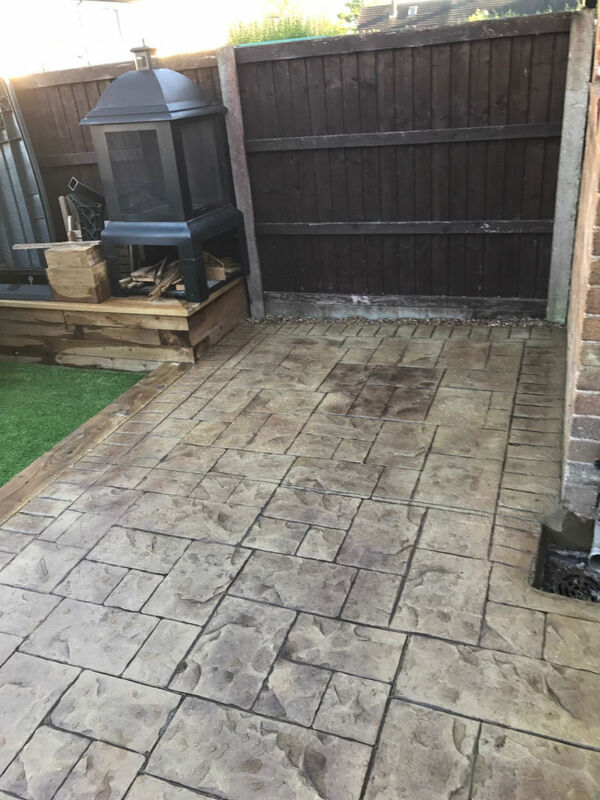 You can see from the pictures, the stunning results. 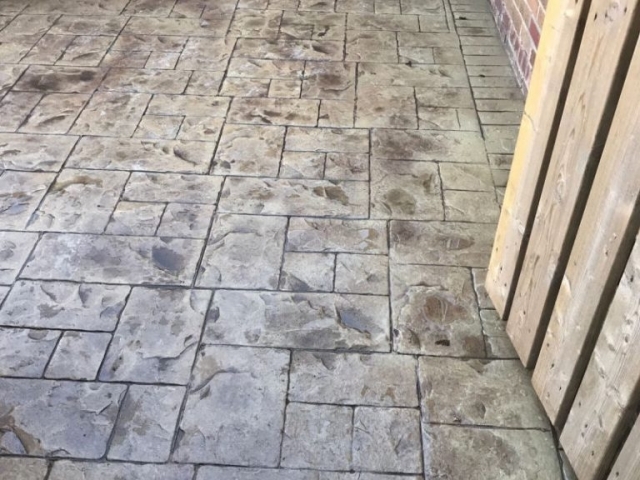 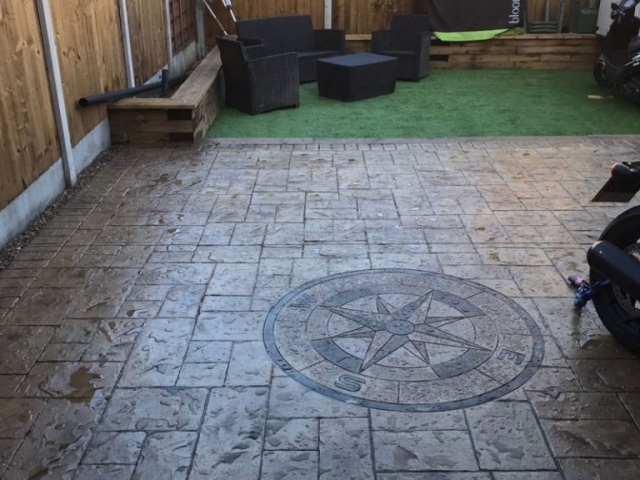 The customer opted for a Sand Stone patio in Ashlar Print. 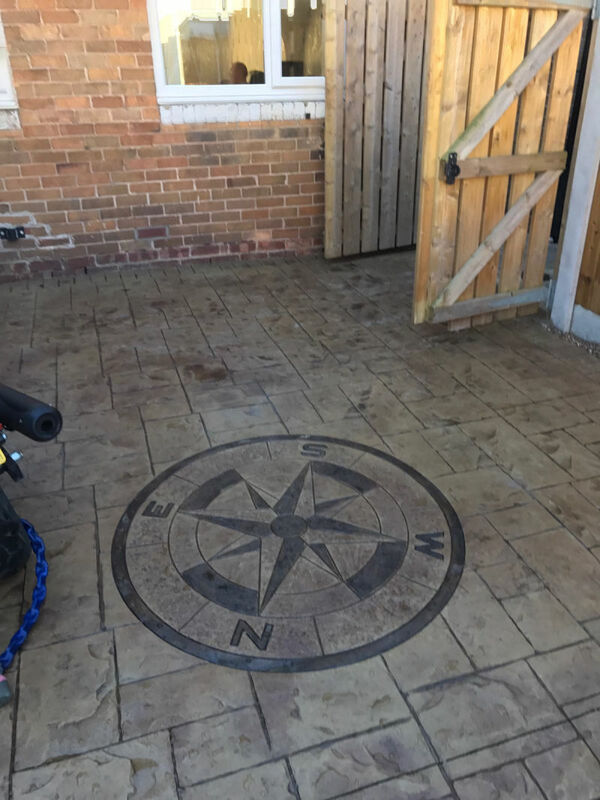 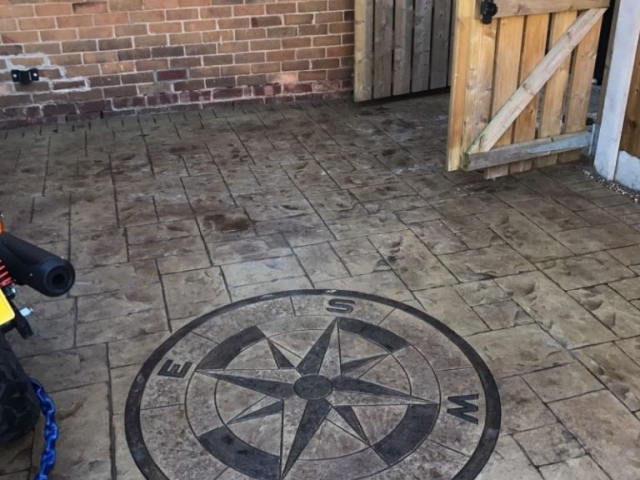 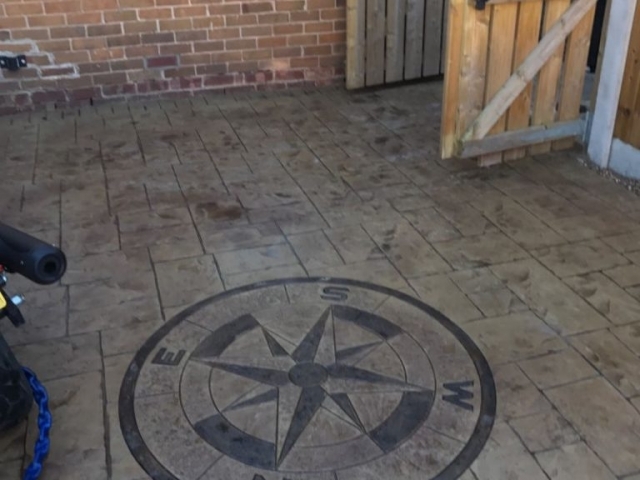 To add to the overall appearance of the patio a stained compass was included as a design feature. 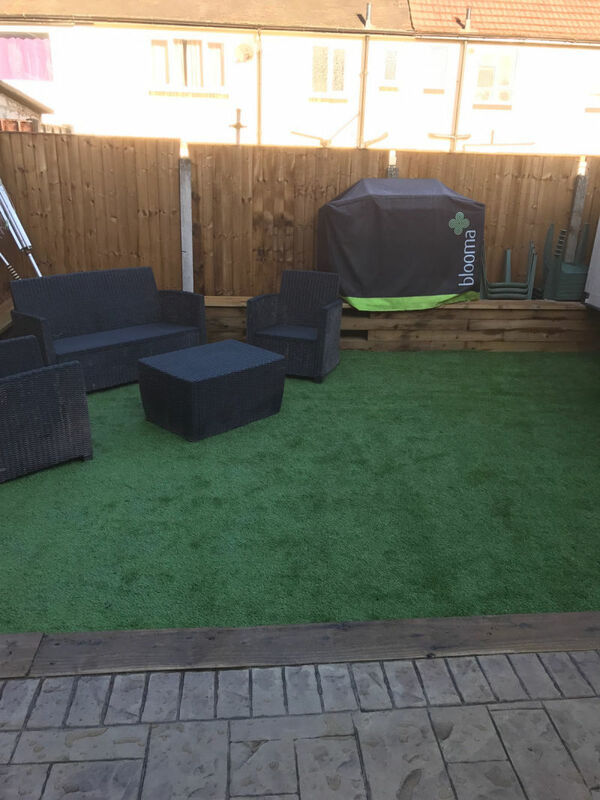 In addition, the customer wanted a garden area to have an outdoor seating/living space. 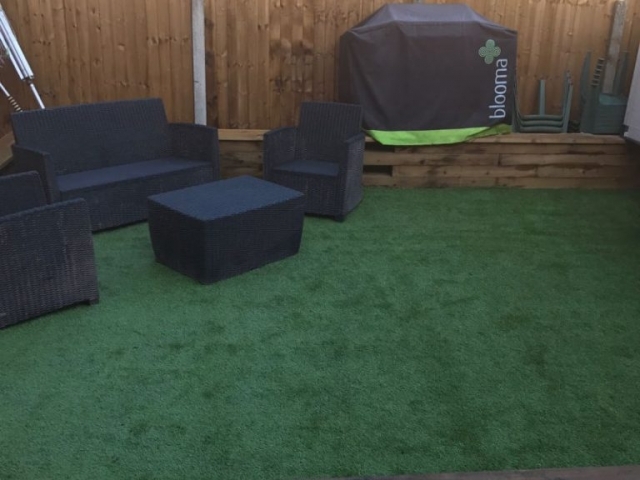 Giving the appearance of a lawn but without the maintenance and upkeep of traditional grass, the customer chose a top grade artificial grass which completed the sandstone patio and created a beautiful outdoor living space. 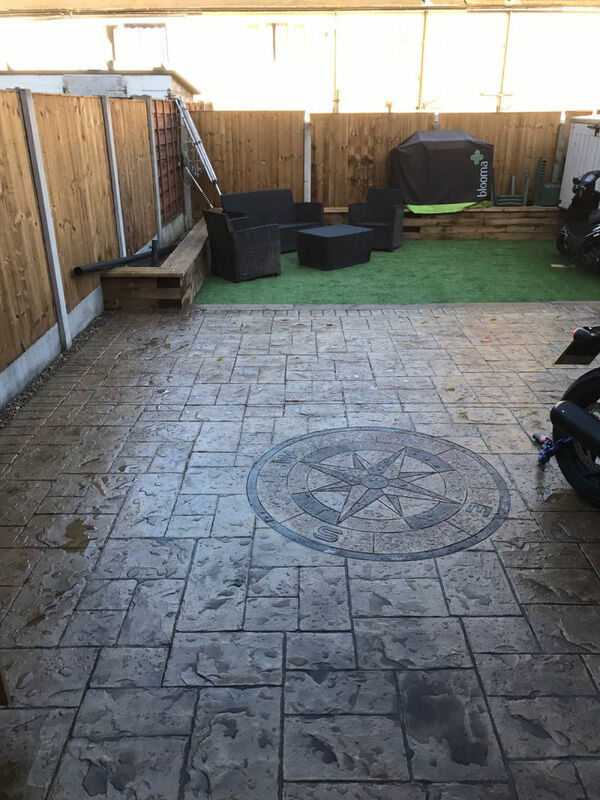 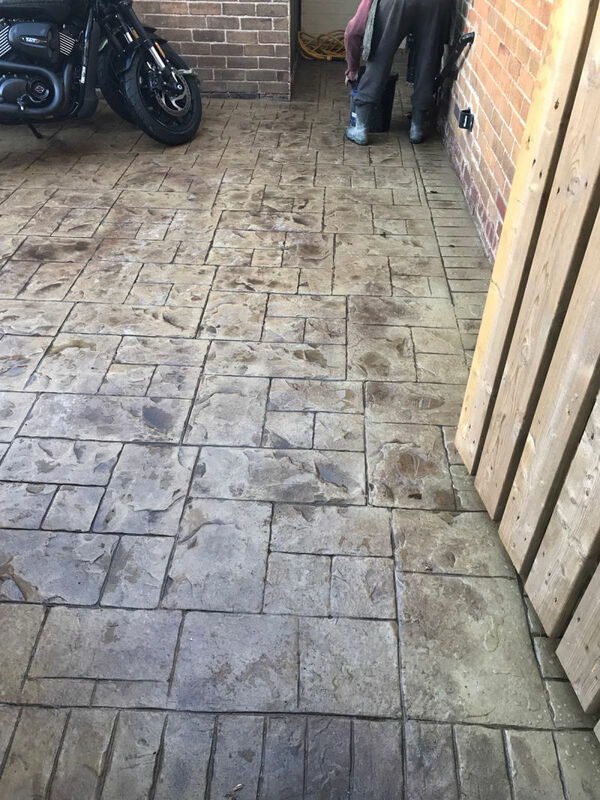 If you live in or around the Wythenshawe area and are considering having a new printed concrete driveway or artificial grass, we are confident we can offer you a range of options to meet your requirements.